Springdale Mill was erected ca. 1788 by David Brown and replaced an earlier mill established by Jost Hite. A well preserved example of an early industrial form once common in the region, the structure is distinguished by its massive limestone walls with a corner chimney, a characteristic feature of early mill design. 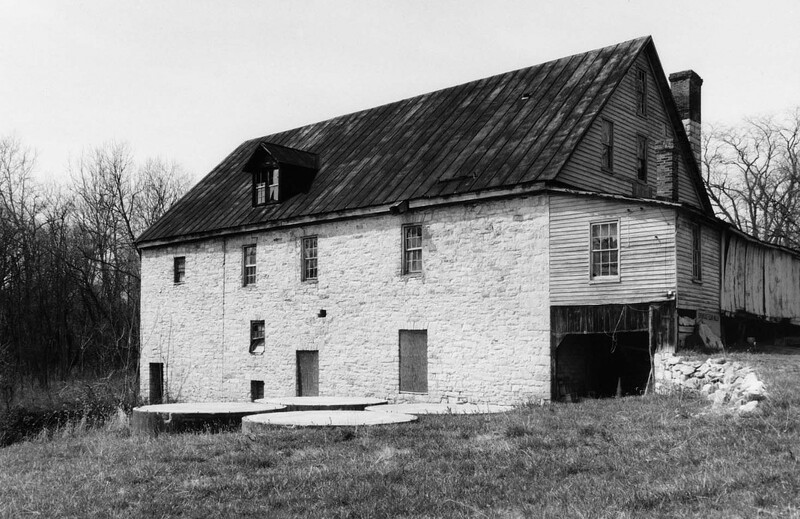 The mill long served the settlement of Bartonville and surrounding rural community as a merchant mill where grain was bought and sold as well as ground. Although currently not in operation, the mill’s machinery, most of which dates from the late 19th century, is maintained intact. Included in the complex is an early stone dwelling and a log and frame house, both of which probably housed early millers.